Natural law is right law. And unfortunately, as Levin notes, “that which is naturally just may not be legally just.” Indeed, to the contrary, all sorts of governments make laws that are unjust, especially laws that ignore or violate the natural law. Take in something lasting and satisfying this summer. 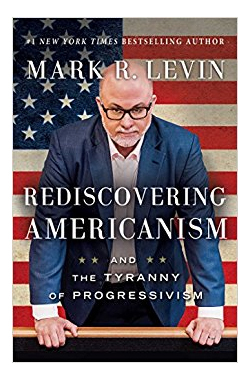 Take a look at Mark Levin’s new book, Rediscovering Americanism and the Tyranny of Progressivism. All of that is obviously intriguing, as are the chapters that follow on the tyranny of the administrative state vs. the blessings of liberty, property, and republicanism. But it’s actually the opening of the book—the very first chapter—that is indispensable and what I’d like to highlight here. It’s worth reading this summer and, in fact, any and every day of the year. Read it yourself and share it with others. The opening of the book underscores the vital importance of natural law. That is, the vital importance of natural law to Americans and to all of humanity—and what has been forgotten in that respect. To rediscover Americanism is to rediscover natural law. Levin understands that. This flies in direct contrast to the principles (if we can call them “principles”) of modern secular progressivism, where truths (if we can call them “truths”) are said to evolve over time, and that what is deemed just and virtuous (if we can call it “just” and “virtuous”) is in a constant state of never-ending flux and evolution—of “progress”—that forever unfolds and that always mysteriously lies ahead in the future rather than in anything immutable from the past. 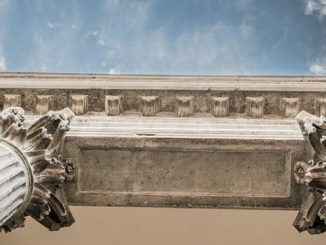 This is why the likes of Edmund Burke and Russell Kirk—and the principles of conservatism—uphold the value of tradition, experience, and custom, so long as the traditions, experiences, and customs are grounded in the Laws of Nature and Nature’s God. Those are the permanent things, the first things, the fixed order knowable by reason and observable by the rules of nature and nature’s God. Thus, as Levin notes, echoing the sentiments of Cicero, “natural law is superior to, and precedes, political and governmental institutions.” For instance, the Golden Rule—“Do unto others as you would have them do unto you”—is a universally recognized ethic. It is referred to as the Golden Rule because it is universally true and just. Hence, to stick with my earlier examples: to own and enslave or kill and maim another human being is always wrong because it’s always wrong—you know it, you sense it, you feel it—no matter what a majority of nine black-robed jurists might say or what Barack Obama and Hillary Clinton and Nancy Pelosi and Barbara Boxer and Cecile Richards and the Democratic National Committee might say. In their enlightened belief, nothing stamped with the Divine image and likeness was sent into the world to be trodden on, and degraded, and imbruted by its fellows…. Wise statesmen as they were, they knew the tendency of prosperity to breed tyrants, and so they established these great self-evident truths, that when in the distant future some man, some faction, some interest should set up the doctrine that none but rich men, or none but white men, were entitled to life, liberty and the pursuit of happiness, their posterity might look up again to the Declaration of Independence and take course to renew the battle which their fathers began—so that truth, and justice, and mercy, and all the humane and Christian virtues might not be extinguished from the land; so that no man would hereafter dare to limit and circumscribe the great principles on which the temple of liberty was built. 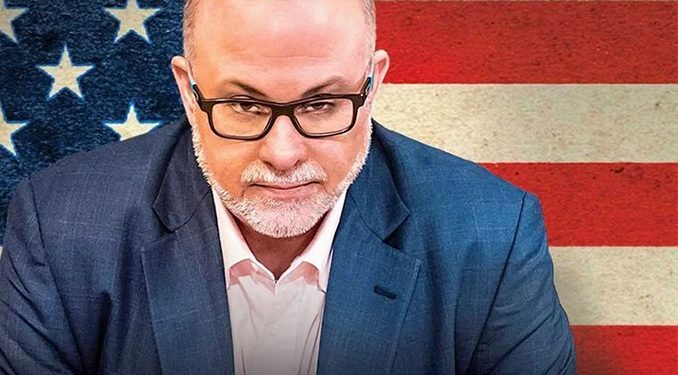 Well, given Mark Levin’s platform and influence, and ability to sell books, it should open more than a few eyes—especially those who have been blinded to these truths by our ghastly government schools and monolithically left-wing universities. That means that Levin, via this book, will be educating a substantial number of Americans on vital concepts like natural law. In that, he’s truly doing the Lord’s work. 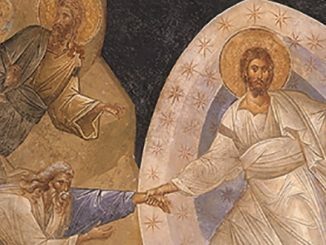 How many faces of Christ? Eh. Never thought I’d see an article about “conservative” Mark Levin at CWR. Mark Levin is not a phony conservative, just a simplistic one. Good article. Do not forget William Blackstone who wrote “Commentaries On the laws of England” and Washington widelyread by the founding fathers. “Man, considered as a creature, must necessarily be subject to the laws of his creator, for he is entirely a dependent being. A being, independent of any other, has no rule to pursue, but such as he prescribes to himself; but a state of dependence will inevitably oblige the inferior to take the will of him, on whom he depends, as the rule of his conduct: not indeed in every particular, but in all those points wherein his dependence consists. This principle therefore has more or less extent and effect, in proportion as the superiority of the one and the dependence of the other is greater or less, absolute or limited. And consequently, as man depends absolutely upon his maker for every thing, it is necessary that he should in all points conform to his maker’s will. I will be purchasing a copy of Mark Levin’s book. A return to American values as established by our founding fathers is sorely needed. Then-Senator Biden badgered Clarence Thomas in the Thomas hearings about whether the Declaration of Independence has binding status in US courts and law. 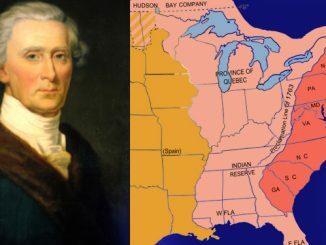 Biden wanted to eliminate any consideration of the Natural Law as having legal standing; and eliminating the legal standing of the Declaration of Independence was a way to eliminate the legal standing of the Natural Law. And he especially wanted to eliminate the possibility of any argument that the Natural Law requires that the United States forbid abortion.